Thomas Balch Library is a history and genealogy library that focuses on Loudoun County, regional and Virginia history, genealogy, military history with special emphasis on the American Civil War and ethnic history. It is designated as an Underground Railroad research site. This exceptional resource is owned and operated by the Town of Leesburg with Friends of Thomas Balch Library supporting its programs. The Friends' Black History Committee has grown into a leading research and outreach organization that is advancing knowledge of African-American heritage in the region. The Library offers a wide variety of traditional and electronic resources to aid researchers, including many unique materials. Balch collections include bible records, books, broadsides, business records, deeds and wills, census and cemetery records, county and city government records, electronic journals and databases, genealogical notes and charts, historic house files, magazines, maps, newspapers, oral and video histories, organization records, paintings, personal papers, photographs, postcards, posters, rare books, and more. For more information, hours, and programs, visit the Thomas Balch Library website. 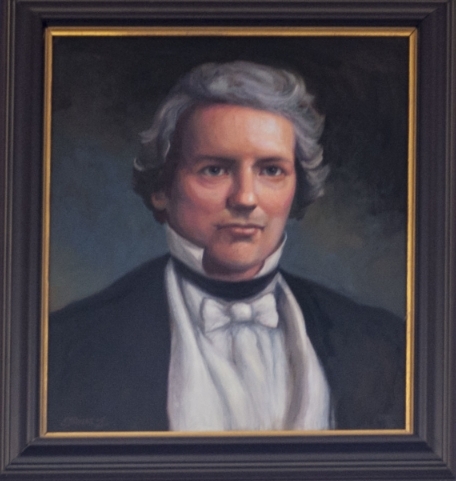 The Library is named for Thomas Balch, who was born in Leesburg in 1821, the son of Judge Lewis P. Balch and Elizabeth Weaver. At age 5, he moved with his family to Frederick, Maryland, and later to Philadelphia. A noted attorney of his day, Thomas Balch was also a keen student of history throughout his life, becoming a corresponding member of numerous historical societies. He earned his own niche in history at the close of the American Civil War when his plan for resolution of the famous "Alabama Claims" resulted in a $15 million settlement for the United States against Great Britain and earned him the title of "Father of International Arbitration." 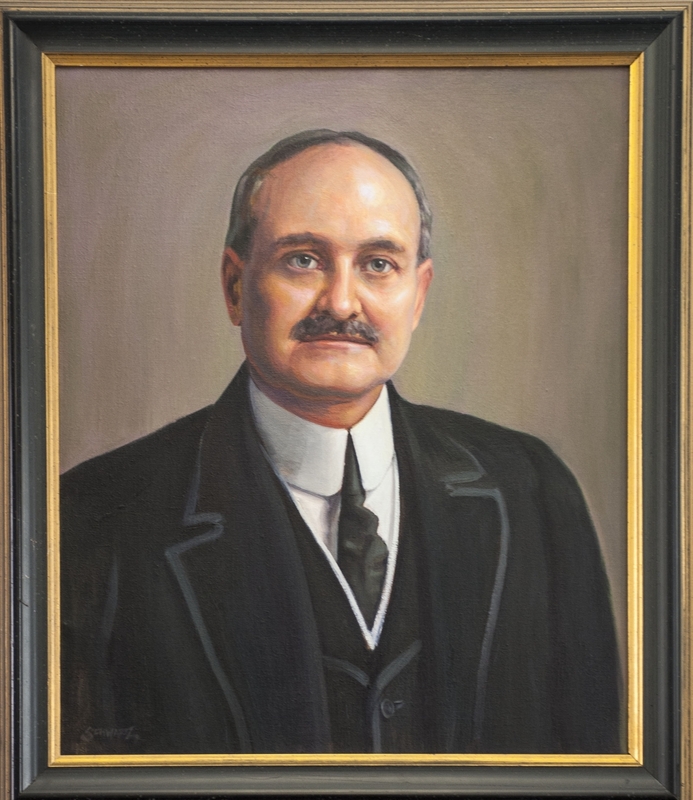 In 1922, the Thomas Balch Library was dedicated by his sons, Edwin Swift Balch and Thomas Willing Balch, who had donated $10,000 to build a public library in their father's memory to be located in the town of his birth. In recognition of Thomas Balch's lifelong love of history, the library was dedicated with a special requirement—that it maintain and foster a section dedicated to local history. The Georgian Revival library building was designed by the noted Washington architect Waddy Wood. Wood is known for the design of the Woodrow Wilson House and Federal Triangle. In May 2001, a rededication ceremony was held to commemorate a new addition and the renovation of the Library. The Thomas Balch Advisory Commission and the Town of Leesburg chose the Bowie Gridley Architects firm of Washington, DC. A plaque at the Thomas Balch Library to Bowie Gridley reads: "Washington Chapter, The American Institute of Architects Merit Award"—Outstanding Achievement in Historic Resources, Thomas Balch Library, November 9, 2002. Bowie Gridley Architects." The certificate hangs in the foyer at the Library. Rear facade of the Library and entrance to the new wing. Bowie Gridley Architects' award-winning designs are characterized by contextually based design solutions that focus and reflect the needs and goals of each institution. Recent clients include Georgetown University, Sidwell Friends School, Arlington Public Schools, St John's Church at Lafayette Square, and the Metropolitan Club of Washington. Thomas Moser chairs, completed by the New England craftsman, each handcrafted and signed. Thomas Balch Library has been the recipient of numerous works of art, including sculpture, paintings, and a "A Loudoun County Story," a four-panel mural depicting the evolution of the region. The mural was commissioned by Friends of Thomas Balch Library, Inc., during the 2000-20001 renovation and expansion of the Library. It was installed in 2002 and made possible in part by a generous donation from Toll Brothers. The artist is William Woodward, a renowned artist and professor emeritus of Fine Arts at the George Washington University. He won the contract through a selection process that started with the solicitation of some 300 artists who were sent invitations resulting in 23 submissions. To view the panels and learn more about the artist, please click here. 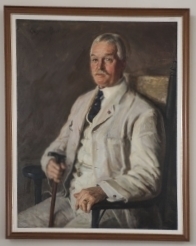 Two additional paintings by William Woodward are also in the Library's collection. Meeting the Piscataway was made possible through a generous donation of Mr. and Mrs. Clarence Dodge, Jr.; Perseverance Through Faith and Strength was a gift of the Friends' Black History Committee to the Library. Friends of the Thomas Balch Library also commissioned Kurt Schwartz, a local artist residing in Waterford, to paint portraits of five individuals who played major roles in the life of Loudoun County: (below, left to right) Margaret Mercer, John Janney, John Elbert Divine, Westmoreland Davis, and Howard Willard Clark. Learn more about them here. Thomas Willing Balch (1866-1927), son of Thomas Balch for whom the library was named. Along with his brother, Edwin Swift Balch, Thomas Willing Balch donated the funds to erect the original portion of the library in memory of their father. This painting, an oil on canvas by well-known Russian émigré artist Lazar Raditz, resident in Philadelphia in 1909, was donated to the library. Thomas Balch (1821-1877), bronze bust on marble pedestal, was completed in 1899 by J. J. Boyle, a famous Philadelphia sculptor. There are numerous examples of Boyle’s commissioned work throughout the Washington, D.C. area. 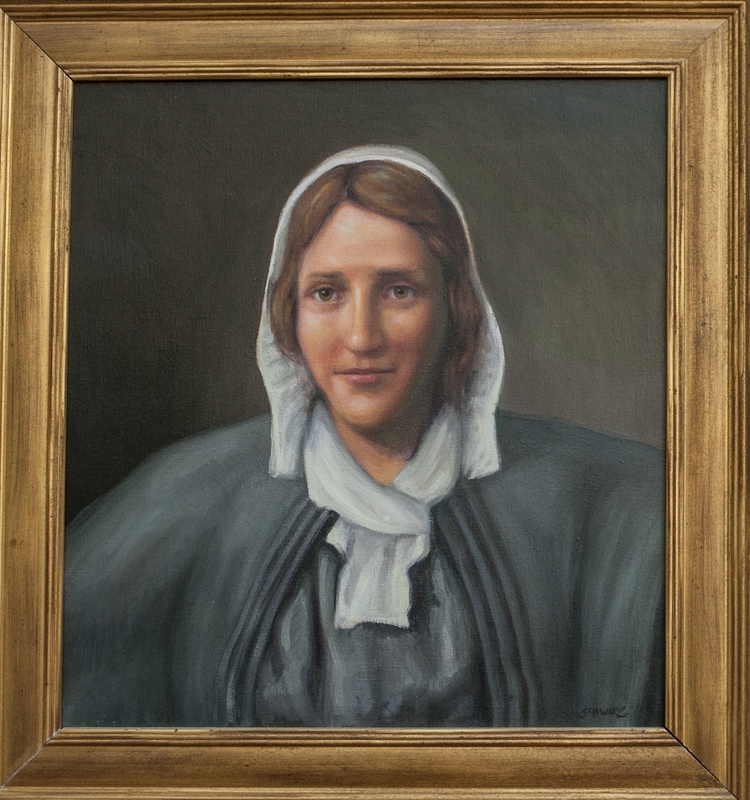 Legacy The Virginians ‘This Far By Faith': A mixed media painting given to Thomas Balch Library in 2004 by the artist Katherine A. B. Summers in honor of African Americans in Loudoun County. Settle-Dean Cabin: Acrylic on museum board by artist Sherry Z. Sanabria, longtime member of the Black History Committee of the Friends of the Thomas Balch Library. The painting was donated in memory of the artist to the Thomas Balch Library by her family. Catalogue: The Thomas Balch Library catalog combined with Loudoun County Public Library catalog. To access the online resources of Thomas Balch Library, please visit the Thomas Balch Library website. Thomas Balch Library Commission advises the Library director on collection development and policies, and it works with the Friends to promote and support Library programs and collections. The commission sponsors the annual Loudoun History Awards, which are presented each November, and an Excellence in Historical Research at the Loudoun County Public Schools' annual Social Science Fair.